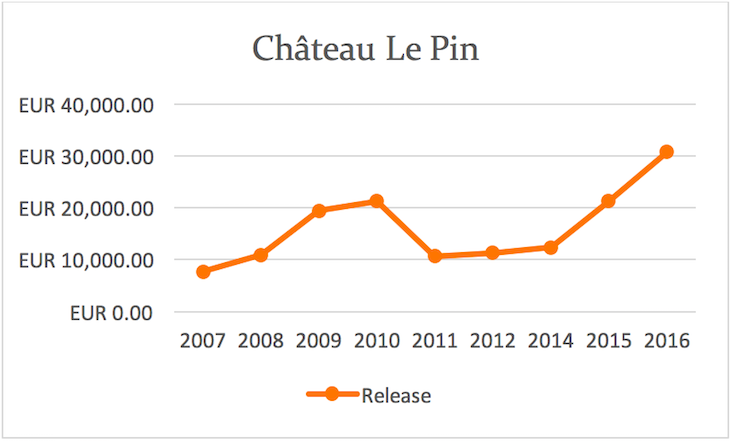 – 2016 is a lovely Le Pin but the prices are so high that I would opt for less expensive older vintages or wait to see whether prices remain the same once the wines are in bottle. 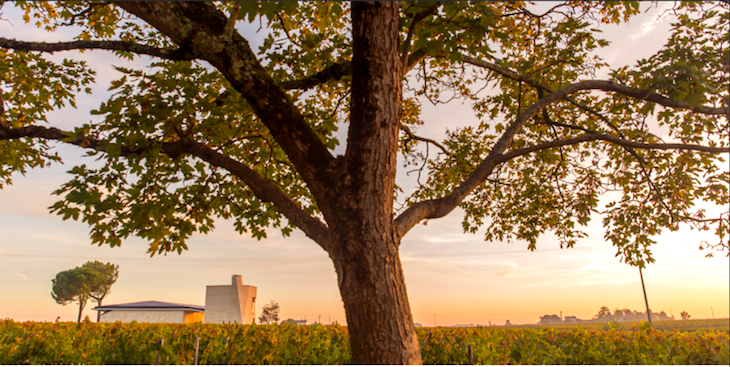 – Area under Vine: 2.7 hectares producing approximately 500 cases of wines per year; no second wine is made. – History: In 1979, Jacques Thienpont made the deal of his life: the purchase of a 1.6-hectare vineyard for 1 million francs (around US$110,000) from the Laubie family. Along the way, an extra hectare of vines was added to bring it to the current 2.7 hectares. Prior to Jacques’ purchase, the vineyard was unknown with the grapes being sold or blended to make other Pomerol wines. – Current Owners: Jacques Thienpont and his family, who also own Vieux Château Certain, manage the property together: While Jacques owns just over 80 per cent, his cousin Alexandre Thienpont owns the remainder. The work is shared between the families with Alexander and his son Guillaume in charge of the vineyard and Jacques in charge of the winemaking and sales. 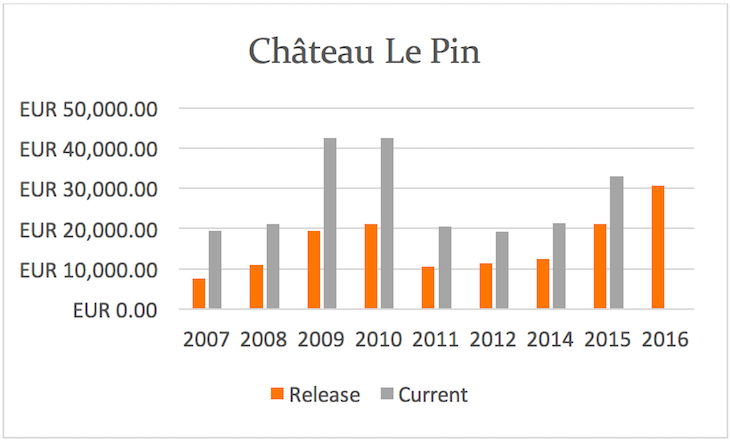 – Le Pin is among the most expensive Bordeaux wines in the market – it is the combination of incredible quality, high ratings from critics and increasing demand chasing limited supply. – The fortunes for the property changed with the 1982 vintage when Parker pointed it out as one of his top discoveries. Prior to this vintage, the wines were challenging to sell and much cheaper than Château Vieux Château Certan. – Prior to the building of the new winery completed in 2012, Le Pin was made in a small garage-like shed. – The wine is named after a lone pine tree that stands in the middle of the property. Le Pin has a short history, being less than 40 years old. But its meteoric rise is thanks to the sheer quality and uniqueness of the wines as well as the influence of Parker. Le Pin is flamboyant, hedonistic and seductive and when tasted side by side with its closest competitor and neighbor, Petrus, Le Pin is more joyful and aromatic. This micro-winery is led by Jacques Thienpont, a gregarious, successful Belgian negociant, with an almost permanent smile. As the winemaker and majority shareholder, he is – with his charming wife, Fiona Morrison, a Master of Wine and wine writer – the public face of the property. But for most of the growing season, you are more likely to encounter the lanky Alexandre Thienpont, Jacques’ cousin, or Alexandre’s son Guillaume, who manages the vineyard. Le Pin lies on a south-facing slope of mostly gravel and sand, with clay making up a far smaller proportion than Petrus. Despite its short history, Le Pin has forged its own unique style – one filled with exotic aromatics, a silky texture and a compelling flavour profile that keeps you coming back for more. The flavors in this vintage are incredibly intense, layered and complex without any weight or heaviness. The nose has graphite, violets and juicy blackberry fruit. Incredible focus, precision and depth in this delicious, concentrated Le Pin. The final alcohol was 14.5% and as usual, 100% new oak was used for maturation. Intense, concentrated yet delicate with an incredibly long finish. 6,000 bottles produced in 2016. Lively ripe plum and dark cherry with a hint of cocoa in the finish. The tannins here are cashmere-like in texture with deep, dark earthy flavors on the palate. Luscious and generous with lifted spices in the long finish. An excellent Le Pin made from 100% Merlot. A gorgeous nose of violets, jasmine, sweet spices and cedar. Amazing generosity on the palate without any heaviness and velvety, plush texture. Great intensity and freshness with impressive depth. Seamless from start to finish with linger flavours. 32 hl/ha and about 10% less production than 2011. This is a gorgeous wine that stands out in this challenging vintage. This is a full bodied, gentle, sophisticated wine. Typical of Le Pin, it is classy, complex with lovely length and finesse. Flavors range from violets to blackberries, fresh Chinese red dates and cassis. There are tobacco and spice notes with caressing flavors and the tannins are velvety, ripe and the finish very long. The gorgeous 2010 Le Pin offers aromas of blackberries, plums, cassis, with a wide spectrum of subtle flavors, ranging from spices and Chinese herbs to cedar. These flavors are enveloped in cashmere tannins, producing a wine of impressive intensity and subtlety and a very long finish. This is a wine for our grandchildren. One bottle of the 1986 Le Pin was closed and reserved, but another bottle opened a day later was seductive and incredibly perfumed. Dried lavender, sweet spices and dried berries dominate the palate but it is the exotic nose that intoxicates. Long finish. A concentrated Le Pin with dense tannin layers and rich cocoa and dark plum notes. The wine is still youthful, filled with vigor and generosity – a denser style than the 1990 and much less flamboyant. A layered, beautiful Le Pin. This vintage of Le Pin is dark spices, truffles and violets in a glass. Flamboyant and spicy, as usual this wine has an incredibly attractive nose. The palate does not disappoint – it is structured and powerful with a firm, velvety tannin grip. Wonderfully balanced with poised acidity and a long finish. it is only just starting to open up after 20 years. 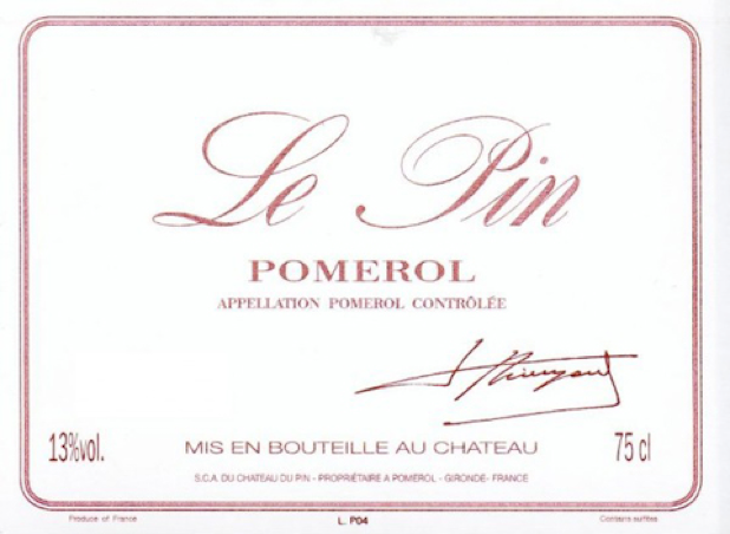 A youthful, powerful Le Pin that is exuberant on the nose and the palate. Lovely spices and dark berry fruit mingle with cedar and cocoa on the nose while on the palate the sumptuous, plush tannins provide velvety texture and backbone to an amazing wine with great potential to age and evolve. The wine is youthful but can be enjoyed now for those who prefer the vigor and exuberance of young wines. Should age well for several decades. An explosion of spices, truffles and sweet jammy fruit on the nose, followed by a delicious palate. This is a ripe expression of Merlot so expect to find mocha, black plums and sweet spices. The wine is still youthful with firm, tightly knit tannins and is beautifully balanced. Full bodied and opulent with nice length. I can imagine the wine getting even better over the next five years.